We supply and install a wide range of products for securing site/car park entrances and exits; these include roller shutters, single or double leaf gates, lift arm barriers and can be in manual or automated systems. 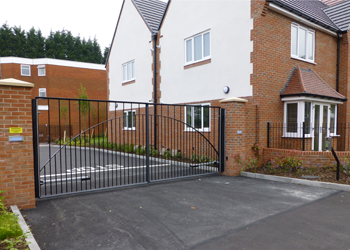 System 2000 Group manufactures, installs, repairs and maintains a comprehensive range of gates and barriers to secure, protect and facilitate all commercial and residential facilities. Gates can be automatically operated, or manually. We are able to supply gates painted to any RAL or BS colour, and with a style of your choosing, such as the internal arch shown here. We also manufacture, install, repair and maintain a range of both manual and automated barriers of any length, according to client specifications. 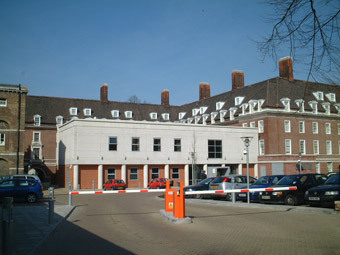 Anti ram-raid posts and bollards provide protection from the increasing threat of ram-raids. 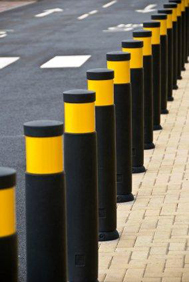 Bollards can be fixed or telescopic and are easy to use. Once the floor-mounted lid has been opened, the post can be pulled up to its full extent and locked, to collapse the bollard you simply reverse the operation. Once the bollard is almost retracted, it drops onto heavy-duty buffers, which cushion the impact on stowage. Flush floor mounting makes the bollard unobtrusive and safe once stowed away. System 2000 ram-stop telescopic bollards are constructed from heavy-duty mild steel box section which is galvanised as standard to provide maximum protection against corrosion, enhancing durability and reliability. Also available in a powder coated finish.